Michelle and Barack Obama have had their images fraudulently used in US advertising. The White House has contacted People for the Ethical Treatment of Animals (aka PETA) about their use of Michelle Obama in an OOH advertisement ‘Fur Free and Fabulous!’ The advertisement features the First Lady, Tyra Banks, Oprah Winfrey and Carrie Underwood. 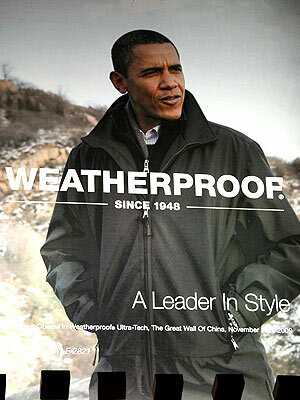 A similar issue has arisen with US company Weatherproof over its use of an image of the US President standing in front of the Great Wall of China wearing one of the brand’s garments. Again, an OOH execution, the White House is asking for its removal as it gives the appearance of endorsement or sponsorship.